At Miami Multimedia Solutions we believe in fair pricing based on the cost of our work not on your use of the photos. Our professional photographers, are just that, professionals in the field with decades of experience and extensive education. Quality will never be compromised and we will always do our best to meet your photographic needs, that's our promise to you. Included is an unlimited number of photos, everything that is of interest will be photographed from different angles ensuring full coverage of the entire property. Photos will be retouched to highlight the most appealing aspects. 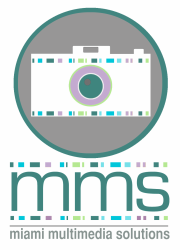 ​All photos will be formatted for MLS in low resolution files and for Print in high resolution. Fee covers all photos in a single photoshoot.